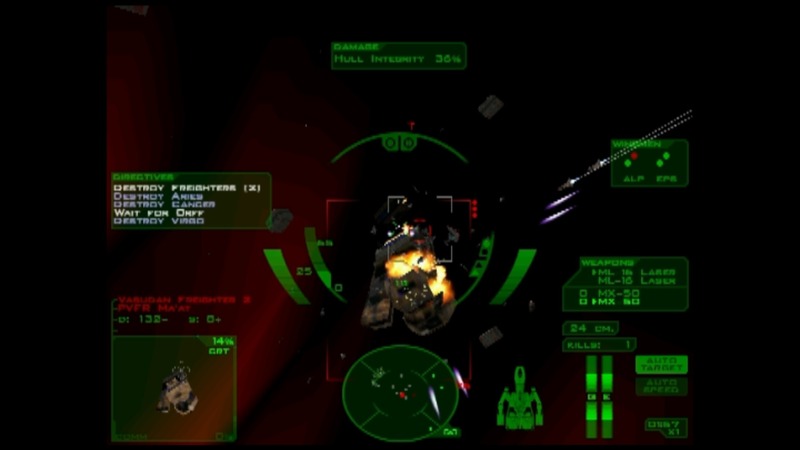 I have GOG version of Freespace — but I’ve never played it (or Freespace 2)! Do modern joysticks on Win7/8 work with these old games? Oh yeah, modern USB sticks work just fine, though I’ve not played the first game in some time so I’m not 100% on that, I am 100% in regards to Freespace 2. Yes, the FSPort has all the data from the original FS1, and does not require you to own FS1. It also includes Silent Threat, and allows you to get Silent Threat: Reborn, which is a fan-made reimagining of Silent Threat. As for multiplayer, it does not use Steam, so your only options are local via LAN or pseudolocal via VPN.